Go to Library > Outcome measures. Click the "+" button in the top-right corner. Follow the steps to create your outcome measure. 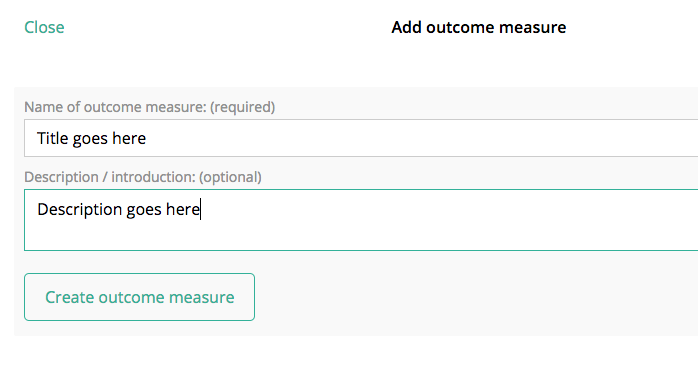 Enter the title and description and click "Create outcome measure: to begin building your questions. 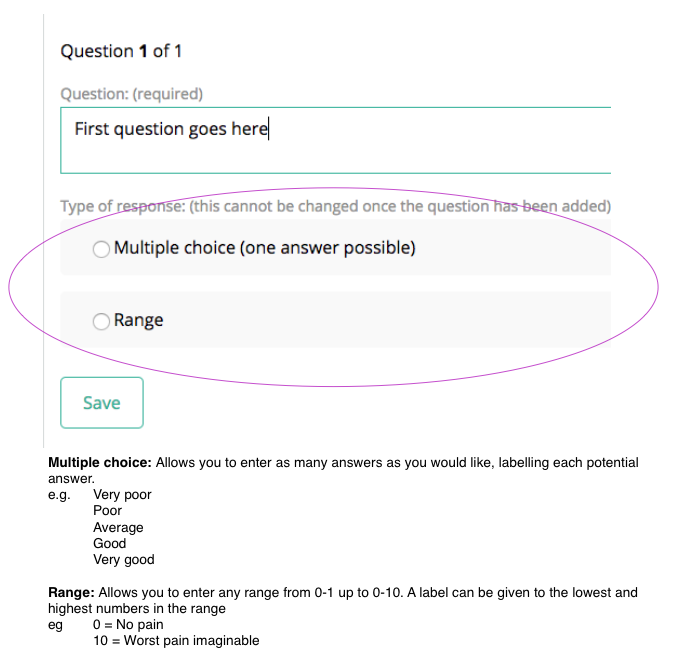 Enter your first question, and decide whether the answer requires a multiple choice or a range . Click "Save" and then "+ Add new question" to continue creating your questionnaire. Click "Copy from preceding question" if you wish to use the same answers (just remember to change the question), or simply enter the new answers using the same function mentioned previously.